Commissioner Tom Maguire’s career in music and the arts spans more than fifty years as a performer, arranger, conductor, and arts administrator. 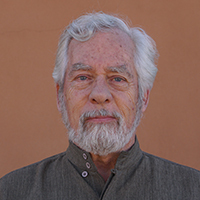 He has served as Executive Director of the Santa Fe Desert Chorale, Administrative Director of the Institute for Spanish Arts, and Director of Development for the Santa Fe Chamber Music Festival. Maguire was Culture, Arts & Tourism Planner for the City of Santa Fe, and has served as a peer review panelist for New Mexico Arts. He is a 2004 recipient of The Mayor’s Award for Excellence in the Arts from the City of Santa Fe.